Acclaimed Japanese technology giant Sony has taken a bold step in the game industry by unveiling its new PS Vita TV, a small but powerful console based on the company’s modestly popular Playstation Vita. 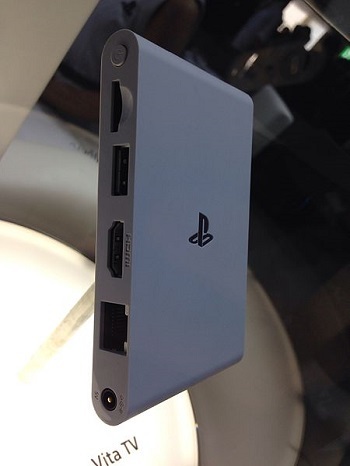 Unlike its handheld counterpart, the PS Vita TV does not feature a screen or any sort of controls. Instead, the console allows users to play games exclusive to the Vita on their televisions, without actually having to own a Vita console. This could set Sony up to compete with others that have been showing a strong interest in mobile games. While mobile games are often played by consumers on the move, the vast majority of people playing these games do so from home. Smartphones and tablets are preferred platforms for many, but other handheld devices, such as the Playstation Vita and the Nintendo 3DS, have become a staple among gamers interested in portability. Recently, several game companies have been looking to take advantage of the popularity of mobile games by creating consoles that allow consumers to play these games on a bigger screen and with better controls. The Ouya is one of the most recent, as well as most criticized, console to attempt to accomplish this. PS Vita TV will support all Vita games and will cost approximately $100 for the standard edition. While there are not many Vita games available today when compared to games exclusive to its handheld counterparts, these games typically receive high praise from the game industry and avid gamers. There are many developers interested in mobile games that are looking to bring new titles to the Vita as well and these future games will also be supported by PS Vita TV. When many people think of mobile games, they usually get the idea of gaming applications played on smartphones and tablets. Mobile games were common on handheld consoles long before smartphones were invented, however, and mobile gaming has evolved aggressively over the past decade. Today, consumers have become very comfortable with the concept of mobile gaming, which has encouraged the game industry to attribute more attention to this sector in recent years.